Calcium Rich Vegetables, Calcium Indian Subzi Recipes. Simultaneously enjoy good health and good food, with this impeccable range of calcium-loaded Vegetables. These wholesome subzis, ranging from Indian to international variants, offer a delicious way to top-up on calcium and other nutrients as well, thanks to the perfect blend of veggies, pulses and dairy products with exciting spices and masalas. Enjoy these mouth-watering Vegetables to banish all worries about nutritional requirements, especially calcium. We all love Spinach and have it readily available at home. Try the famous Palak Paneer from North India or Khumbh Palak Recipes. Cottage Cheese or Paneer is rich in Calcium and we have loads of interesting and popular recipes. Paneer Bhurji goes well with Bread and Parathas. If you want a low cal paneer option then try Palak Paneer Kofta in Makhani Gravy. There is the super quick paneer to make Paneer in Quick White Gravy. The Rajasthani delicay Dahi Bhindi made with low fat curds. Then there is the Steamed Spinach Dumplings in Curd Curry which is a healthy subzi having both spinach and curd which are Calcium rich. 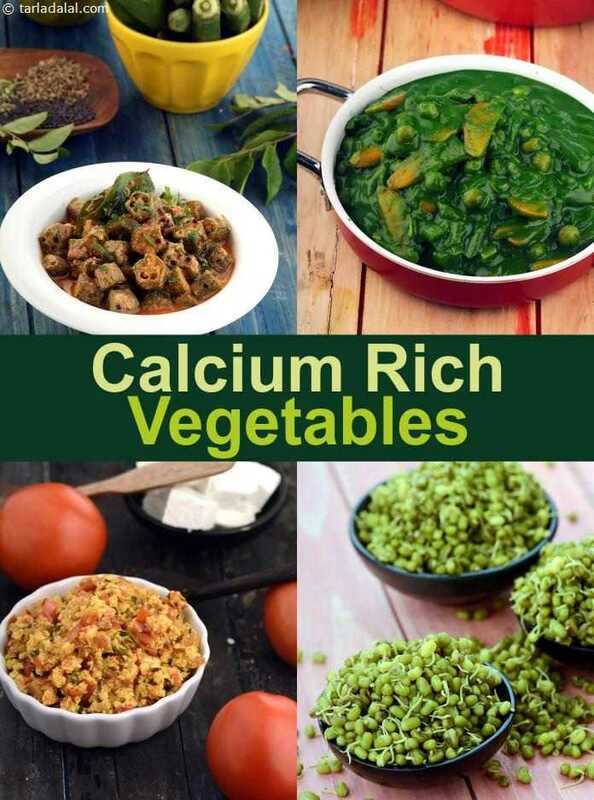 Enjoy our collection of Calcium Rich Vegetables, Calcium Indian Vegetable Recipes. given below from Calcium Rich Breakfast to Desserts.